Last week, we discussed the danger of fire trucks colliding with other vehicles. This post picks up where that one left off, looking at the California law on emergency vehicle crashes. In this entry, which encompasses all emergency departments (i.e. not just fire), our Northern California emergency vehicle crash lawyer focuses on crashes where an emergency official driving a department vehicle is at fault and a civilian is injured or killed. Several provisions in California’s statutory law address emergency vehicle crashes. The most general provision, Vehicle Code Sec 17001, provides that a public agency is liable for death, injury, or property damage caused by the negligence or wrongful act/omission of an agency employee who is operating a motor vehicle in his/her official capacity. While this general rule makes agencies liable for accidents caused by an employee’s negligent or wrongful driving, the provisions that follow chip away at this liability. “Chipping Away” at the General Rule: Limitations on Liability in Emergencies Two such “chips” involve Sections 17004 and 17004.7. Under Section 17004, a public employee is not liable for an accident caused when responding to an emergency call and pursuing a suspect, even if the officer is negligent. 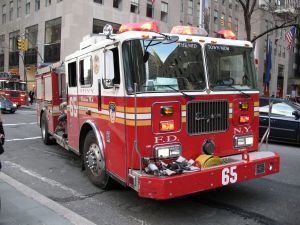 Immunity does not apply and liability “returns” on the “return trip” such as the ride back to the fire department after a call. Section 17004.7 extends immunity in these emergency call accidents to the agency itself so long as the agency has a written policy on vehicle pursuits that meets certain listed qualifications and provides regular training on that policy. The section explicitly focuses on accidents caused by a suspect’s vehicle but sources consulted in preparing this piece suggest it also applies to a crash caused directly by the official vehicle. Notably, the standard is based on the existence of the policy and the policy’s contents, not whether it was followed. Note that there is a mismatch between the two code sections, 17004 does not extend to the agency so the agency is potentially liable where the employee is negligent, presuming of course it isn’t “saved” by Section 17004.7. Further, 17004.7 applies only to the agency, not the individual, so an officer is not “saved” by the mere existence of a pursuit policy. Taking into account the foregoing, what is the standard of care California law demands from emergency vehicle drivers? The answer starts with Vehicle Code Section 21055. This code section provides that emergency officers do not have to comply with a number of traffic laws when responding to an emergency call/fire alarm, engaging in a rescue, or pursuing a suspect. As elsewhere, the “pass” applies on the way to an emergency, not on the way back to the station after a fire call or during similar non-emergent situations. For the exemption to apply, the officer must have sounded a siren or lit an appropriate red warning lamp (note: the siren/light is an added requirement and is not sufficient on its own to make the exemptions apply). The Brod Law Firm: Representing Victims of Emergency-Vehicle Accidents in Northern California If it seems complicated, that’s because it is. We believe it is important for anyone injured in a car accident to engage legal counsel. We believe this is even more pressing when the accident involves an emergency responder (including accidents caused by vehicles fleeing from officials). The law in these cases is complex and the power imbalance created when officials are involved can only be equalized when the plaintiff has a qualified, experienced attorney on his/her side. Serving all of Northern California, Greg Brod can help victims in these cases understand their legal rights and recover the full amount allowed by law. 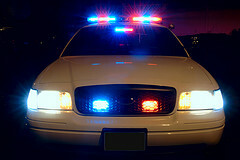 Call our emergency vehicle accident attorney in San Francisco, Oakland, or Santa Rosa to arrange your free consultation.